Mrs Bryne was sacked as a human resources director of a drug company in January 2001, two months before giving birth. She had complained that male directors were paid more than female directors in the company. This was based on the fact that on promotion from human resources manager to director she had expected a pay rise in line with the other four directors. In fact, she was awarded a pay increase that brought her salary to £52,500. Mrs. Bryne brought her claim for breach of contract and for sexual discrimination because her boss made a comment that all women who were of child-bearing age should be sterilized. She was sacked after sending the memo and only given three months’ notice rather than the six months to which she was entitled under her contract. This resulted in her not being able to claim for unfair dismissal. The tribunal found that the way in which she had been dismissed after sending her boss the email about her salary did constitute unfair dismissal. This was because she would have been entitled to claim damages if she had been given the notice period that was contracted. The boss in question stated that he liked to crack jokes and to make the working environment less serious. He did however state that he realised that the quip he had made in this instance had been severely off-key. He told the tribunal that he regretted making the remark, and said that it was ‘so grotesque that it could not actually be his opinion. Mrs. Bryne’s sexual discrimination claim was dismissed at the employment tribunal. The tribunal chairman said that the comment made by the boss was just part of the humour that was used in the pharmaceutical industry, and that it did not constitute the boss’s view or that of the company. 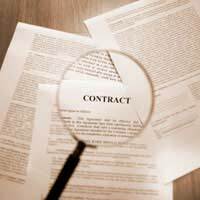 Mrs. Bryne was awarded damages for successfully proving breach of contract. Although Mrs. Bryne’s sexual discrimination claim failed, she did receive an award of damages for the breach of contract by her employer. Can you dismiss an employee who has under two years service, without havinglots of meeting. but just one stating why - clash of personality, conduct. whilst off sick.